There are a number of aspects affecting the challenges nonprofits are facing including, reduced government funds, a drop in charitable donations, consolidations, increased competition, increased demand for services, and the list goes on and on. But, without nonprofits so many needs will go unmet. Nonprofits are also job creators. In fact, during the recessions of 1990-1 and 2001-2, nonprofits actually increased their number of employees by 2.38 percent a year while for-profit jobs declined at an annualized rate of 2.2 percent. And, while many people are not aware of it, the nonprofit community is an enormous contributor to the American economy: It provides 5.5% of the nation’s entire GDP or $751 billion worth of output. The key to turning things around for nonprofits is… TECHNOLOGY. Okay, you’re not surprised to hear that from the Marketing Director of a technology company, but, it is true! Technology can help tremendously in three key areas: creating awareness, reducing costs, and increasing donations. First, creating awareness. In order to be considered for donations, the public must be aware that your nonprofit even exists. Awareness can be established through many channels, but for the sake of this post we will focus on the value of technology and social. As you can see below, the growth continues to increase year over year, and while it may not directly tie to increased revenue. 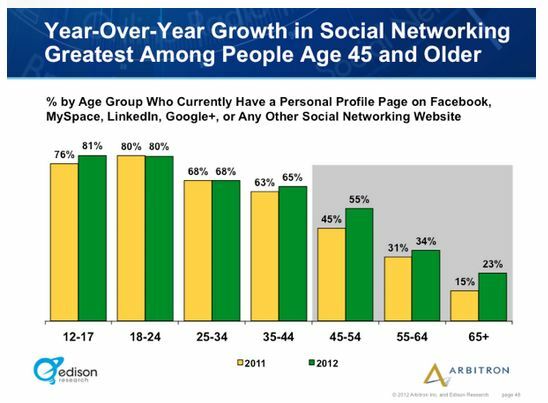 Social does tie to increased awareness. Second, reducing costs. You have probably already seen your new budgets and my guess is they call for flat expenses or reduced expenses and increased donations. How are you supposed to do that? Well, a Constituent Relationship Management (CRM) system and a proper fund accounting system can help your staff achieve much more with less. Automating financial functions through an integrated accounting system where the donor’s details have to be entered only once and are accessible to all staff makes good business sense. It can help you with audits, reporting, and even bringing in more donations. Plus, fundraisers all understand the value of building relationships. A CRM will allow you to more easily recognize and reward your donors, track the actions of your donors, and even organize the relationship you have with your donors. And the value of all of this is of course; my favorite topic, donor loyalty. If that is not enough, the cost of quality software as really become more affordable with subscription offerings. For example, you can get a complete end-to-end solution with Sage starting at $249 a month. That price point puts technology in the hands of nonprofits that were not able to afford it before. Finally, increasing donations. I spoke to nonprofits all year-long and surprisingly the vast majority are still not doing online donations. It is a must! I am not a proponent of getting rid of direct mail campaigns; I love direct mail. I am a proponent of integrating all of your marketing channels to drive to one call to action. Donate! And, increasingly, your younger donors expect the convenience of visiting your website or Facebook page and clicking a link that drives them directly to an easy to donate to, fully integrated form. Plus, online donation technology allows you to create peer-to-peer fundraising campaigns, simplify event fundraising, and so much more. All of which could increase donations, and allow you to find new prospective donors. Take-away: For the sake of the economy, take a look at technology this year. If you are already using technology learn something new about it, attend a training class, or get with a peer group. As with all things technology is unendingly changing and improving. 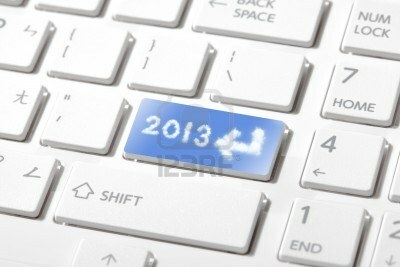 Learn more to do more, and have a great 2013. Happy New Year! I love the Holidays. I love wrapping presents, giving them, eating, and spending time with my family…did I mention eating? As I finished my last gifts, I began thinking about how truly blessed I am in this life, and I just wanted to take a moment to thank all of the many people who made my 2012 so wonderful. First, a special thanks to my Mom, Debra Bailey. She is an amazing woman. She is kind, giving, and always, always willing to help. Whether it is picking up the kids when I am traveling, giving Jason and I weekend to send time together, or simply baking us one of her amazing pies, she is always around and always the first to say YES! I think I learned most of the things that have made me successful from her. The spirit of Yes as we call it around here is very powerful. Love you so much Deb!! My hubby, the famous and great JASON BRANDT, we have had such a wonderful year. He is so supportive and willing to pitch in. Yes, not only does he go out to protect and serve everyday; he does the dishes and the trash. I feel so blessed to have found my love so early in life, and I look so forward to all the things we have to come. To my beautiful babies, Brylee and Colin, you are my reason for living. You give me purpose, love, and hope for even better things to come. I love you both so very, very much. To my sister, Michelle Hensel, what an amazing lady. Thank you so much for your unconditional love, encouragement, and free therapy. But most importantly, thank you for my adorable and lovable Brenna, Cami, and Cade. XO. The my friends, my circle of trust and my LG posse. I love you girls, you make me laugh, dance like crazy, and against my better judgement sing Karaoke. (And, you still love me.) I never underestimate the power of a great friend, and in all of you I have found exactly that. Lots of love to you all. To my friends in the nonprofit world, what a great year. Thank you so much for allowing me to be a part of all of the wonderful work you do. I am always humbled by the amazing stories and experiences you share. Thank you for what you do. To Sage Nonprofit Solutions, thank you so much for allowing me to do what I love to do. What a wonderful group of people to work with. Most importantly, to my team, I am so lucky to have a team of such amazing women to work with. Thank you all so very much! Last but not least, for all of those that are not called out, and I know there are a lot of you and probably someone very important that I missed. (That’s always the risk of writing a blog like this.) So, if that is you, thank you so much for a wonderful 2012, Merry Christmas, and Cheers to a Happy Happy New Year! Take-away: Be at war with your voices, at peace with your neighbors, and let every new year find you a better man.